MBA, BBus, Dip Personnel Mgmt, MAHRI As Director, Human Resources at Shelby Consulting, Rob is the lead HR practitioner and classification specialist with extensive expertise in human resource management and review of organisational structures in the Western Australian Public Sector. He has substantial experience in position classification, change management, recruitment and selection, employee grievance management, performance agreements and employee recognition. Previously, as Principal Human Resource Consultant at Estill and Associates, Rob managed all human resource projects including organisational change and implementation, structural review analysis, workforce planning, classification determination and strategic human resources development. This included numerous structural and functional reviews for a variety of government agencies. 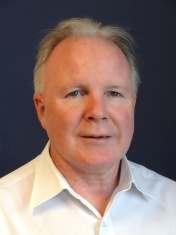 Prior to this he has held management positions at the Water Corporation with responsibility for the development, management and coordination of human resource functions in the Perth South, Great Southern and South West Regions. Whilst at the Water Corporation Rob was the Chairperson for the Agency’s Criteria Progression Committee for two years and an active member of the Classification Review Committee for five years. Rob leads a highly experienced team of Senior HR Consultants and delivers professional, high quality and cost effective human resources services. 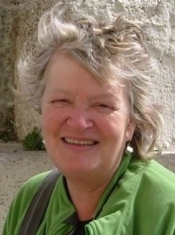 PhD (Medical Anthropology/Asian Studies), BSc (Hons), Fellow of the Australian Anthropological Society, MAES Jocelyn has worked with Heather Aquilina since 2004. She has conducted research and carried out applied work in Australia and Southeast Asia over the past three decades. As an international development consultant during the 1990s and early 2000s Jocelyn designed, reviewed and evaluated projects in the health and rural development sectors in Indonesia and Timor Leste for USAID, AusAID and World Bank. In Australia Jocelyn has been a university lecturer, research fellow, manager of Native Title research for two Aboriginal Land Councils and a research consultant. As a research fellow at Menzies School of Health Research in Darwin, she taught Qualitative Research Methods and Sociology of Health in the MPH program, conducted research with Indigenous people and supervised doctoral students. Jocelyn’s strengths are qualitative data collection, analysis and report writing as well as literature reviews. She works effectively in cross-cultural setting, with people of diverse backgrounds. Over the past decade, Jocelyn has conducted numerous project evaluations and reviews in Western Australia, most requiring her to travel around the state to consult with key stakeholders. She has worked on projects in the justice, women’s and children’s services, education and health sectors. Examples are the Prisoner Re-entry Program, the ’Get the Facts’ Youth Website, the Family Violence Courts and the Aboriginal Workforce Development Centres. 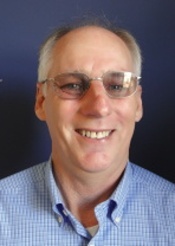 BA (Hons), MA, PhD, FAES Rick is a specialist in program evaluation and public policy development and implementation. He holds a Professorial position at Murdoch University and is involved in university research and policy development in the areas of assessment, flexible learning and quality assurance. He also lectures in public policy research methods at postgraduate level and has offered workshops in designing and managing program evaluation contracts and the Standards for Program Evaluation. Rick has over 30 years experience conducting a wide range of evaluation studies, in the areas of education, health, crime prevention and community development. Prior to joining Murdoch, Rick held senior research and policy development positions in the State Government for twelve years specifically in education and training during which he developed a high level of expertise in policy research, development and implementation, strategic planning, and program evaluation. Rick is a past President of the Australasian Evaluation Society, and sits on the Society’s professional learning and publications committees. MBA, BEng(Mech)(Hons), GradDipArts (ConsultHum&SocSc), MAES Heather Aquilina is Director of Evaluation and Review at Shelby Consulting. Before this, Heather managed the evaluation and review function at Estill & Associates for 7 years. Heather is a skilled project manager who brings together a combination of academic rigour and social sensitivity. She has a unique ability to balance multiple priorities within complex projects and her excellent negotiation skills ensure that objectives and requirements are clear, and time frame commitments are realistic so that projects can be completed as planned. Heather has been involved in evaluations and business process reviews for a wide range of departments and subject areas and is a member of the WA chapter of the Australasian Evaluation Society. Heather has worked on projects based on improved efficiency and effectiveness of service delivery. These have included the development of measures of effectiveness for the Department of Indigenous Affairs, program and project evaluation for the Department of Education, Department of Corrective Services and Department for Community Development (previous) as well as organisational reviews for various local government departments. Heather’s work has seen her undertake in-depth interviews with management and staff, stakeholders and the community. Heather is comfortable working with a range of client groups and with sensitive subjects. The projects have varied from relatively simple satisfaction surveys to complex, long timeframe reviews, involving multiple data collection activities and multiple stakeholders. Cert IV HR Mgmt, Cert III Bus Mgt, SAHRI Jade provides operational, administrative, and logistical support to our senior consultants and directors. She brings a range of skills and knowledge to Shelby Consulting and has worked in a variety of roles and industries including hospitality and transport. Since beginning with Shelby, Jade has assisted in numerous recruitment and selection processes, classification reviews, and has supported the evaluation team with coding, analysis and research. Jade is currently studying a Bachelor of Arts at UWA, double majoring in Anthropology & Sociology and Indigenous Knowledge, History and Heritage. Dr Gill Westhorp is a specialist in realist research and evaluation methodologies. 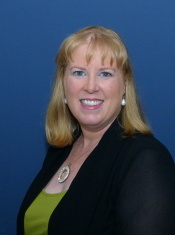 She is Director of Community Matters Pty Ltd, a research and evaluation consultancy based in South Australia. The company has undertaken realist-informed evaluation work in health, education, training, family support and early intervention. Gill is also a University Fellow at Charles Darwin University, Darwin and an Associate in the School of Global, Urban and Social Studies at RMIT University, Melbourne. Gill regularly contributes to academic research teams as a realist methodologist. 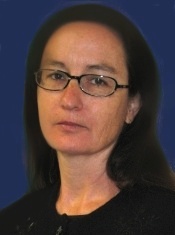 She lectures and provides training in realist evaluation and realist synthesis around Australia and the world (to date in England, Scotland, the Netherlands, the Czech Republic, New Zealand, America, Canada, Spain, Vietnam, Switzerland, Indonesia) and regularly presents at national and international conferences. Amongst other publications, she is author of a guidance note on Realist Impact Evaluation and of two articles on realist evaluation and complexity theory. Gill is a co-author of the international reporting standards, quality standards, and guidance materials for Realist Synthesis and Meta-Narrative Reviews. She was lead author for three syntheses, Associate Investigator for another, and has provided support to another four teams undertaking realist reviews. 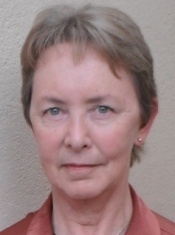 Gill was the inaugural Convenor of the Australasian Evaluation Society’s Special Interest Group in Realist Evaluation and Realist Synthesis, and is a past member of the national AES Board. She undertook her PhD in Social Research Methods through Nottingham Trent University, UK, supervised by Professor Nick Tilley (co-author of Realistic Evaluation), developing realist methods for use in settings with poor quality outcomes data. Prior to establishing her business, Gill worked in the community services and health industries for over twenty years in service delivery, management, policy, and training roles. BSc (Psych), CAHRI, JP As a Senior HR Consultant and the Training Manager for Shelby, Shai is responsible for projects encompassing the full range of recruitment, classification and restructure, training and professional development, and general HR assignments across a diverse range of public sector agencies. She is highly experienced project manager skilled at using her in-depth knowledge to provide consultancy support for a broad range of HR functions and identifying high-level issues and developing strategies to distill them into pragmatic achievable tasks and actions which organisations can implement and translate into results. She has very strong policy development and implementation skills and has been responsible for the management and delivery of some of Shelby’s largest and most complex restructure, organisational change, classification, job design and recruitment projects. Shai has over 20 years’ experience in strategic and operational human resources in high-level specialist and generalist HR positions in commercial and public sector organisations. 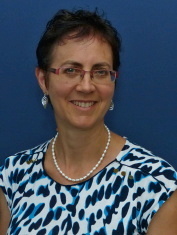 She has extensive experience in using and applying the BIPERs assessment tool, and is accredited as a Mercer Job Evaluation System endorsed practitioner (since 1996), as a Human Synergistics circumplex consultant and coach (since 2007) and as a user of the INFOHRM Workforce Planning Model and Tools which she has used to develop workforce planning strategies for clients and previous employers. Shai’s strengths are ensuring high levels of communication are maintained throughout her projects and providing client focused service to deliver tangible business outcomes. She has a passion for facilitating organisational and cultural change through professional coaching and behavioural transformation while working closely with managers to identify issues and developing strategic solutions. MA, MEd (Hons), PGDipSocResEval, MAES Christina Ballantyne has over twenty years experience in survey research and evaluation, with expertise in questionnaire design, qualitative and quantitative methodology and online surveys. She is currently an independent consultant and until early 2014 was a Senior Research Officer in Management Information and Planning at Murdoch University. Christina was responsible for managing the institutional surveys undertaken at Murdoch University, i.e. the student evaluation system, the national UES (University Experience Survey), AGS (Australian Graduate Surveys, comprising Graduate Destination Survey/Course Experience Questionnaire and the Postgraduate Research Experience), the Whole of University Experience Survey, and for providing direction to senior management on the appropriate use of the data. Christina also has considerable experience in running evaluations using focus groups and interviewing and has contributed to several external consultancies. Consultancy work includes the evaluation of the Australian Learning and Teaching Council funded Promoting Excellence Initiative at Murdoch University, conducting focus groups with stakeholders as part of Lessons Learnt on Term Contracts project for Main Roads, WA and design of an online survey to identify energy efficient assessment skills as part of a project undertaken for the Department of Resources, Energy and Tourism. 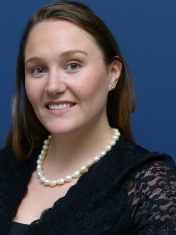 Christina was, from 2000 to 2008 a member of the national Survey Research Group which advises on the AGS suite of surveys run by Graduate Careers Australia. She has published several papers relating to online surveys and to evaluation of teaching and courses. BBus (Accounting/Personnel) Since 1996, Kim has been Principal of Kim Bridge and Associates offering a multi-disciplined service specialising in organisation and small business facilitation, personal and professional development, and Indigenous cross-cultural awareness facilitation. Kim has experience that extends over twenty years working in the business and economic environment, particularly with Indigenous Australians, both at an individual and community level. He has worked with both the government and private sectors, always operating within a framework of integrity, accountability and confidentiality. With this diverse range of experience, Kim is able to assist with many aspects of business and people development within organisations. The resulting benefits are effective implementation of activities, attainment of real results and the achievement of organisations’ goals and objectives. Kim has a strong affiliation and connection with regional Australia. He was born and raised in the East Kimberley and has lived and worked extensively in regional areas of Western Australia, Northern Territory and Queensland. 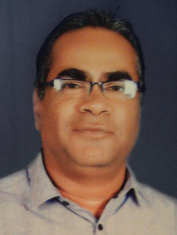 This has enabled him to encounter many personal and business experiences and gain sound knowledge of the varied issues encountered by people living in these locations. Ralph Mogridge is the founder and director of Ralph Mogridge & Associates, an Indigenous small business consultancy that has been in operation for over seven years. Ralph has a trade background, over 34 years’ experience across a variety of business and service providers, as well owning and operating four businesses of his own. Ralph has worked for a broad range of agencies, including state government, not-for-profit and commercial, and has extensive experience working with Aboriginal people and communities across Western Australia. Ralph is keen to share the positive experiences he has gained throughout his professional life to assist Aboriginal people develop their own solutions to addressing their own barriers, both professionally and socially. 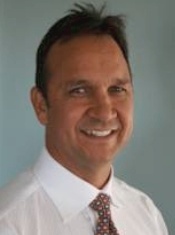 Ralph is also a Board Director for Perth Economic and Employment Development Aboriginal Corporation (PEEDAC) Pty Ltd.